Ready to add some fun summer shades to your polish collection? We’ve got you covered! Here, the top shades to put on your radar. No other color screams summer more than a fresh coral hue. Perfect for highlighting a natural tan (that you got while sporting SPF, of course! ), this season’s take on coral is equal parts peach and orange with a subtle hint of pink. 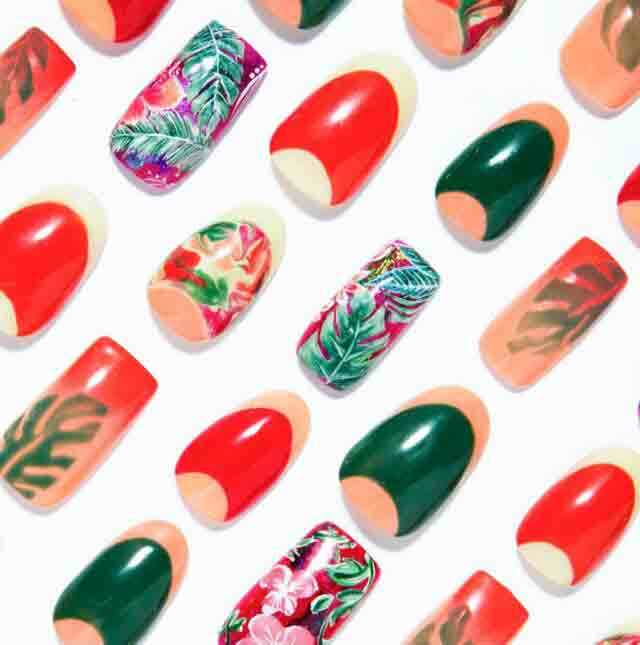 Play up the hue’s playful appeal by usuing it as an accent for half moons and tropical nail art like the Cubana Manicure or the sweet Sugar Palm. A much-needed break from summer neons, a light citrus green is sure to command attention. Because of its subdued, almost pastel-like appearance, it can be paired with everything from neon yellow to delicate neutrals. The bold cobalt blue shades that ruled the last few summers are now taking a backseat to cool teal hues. The on-trend color walks the line between blue and green, and offers immense versatility for any occasion. Want to see the latest nail shades and tutorials? Check out CND on Nailstyle and visit CNDUniversity for all the latest education!